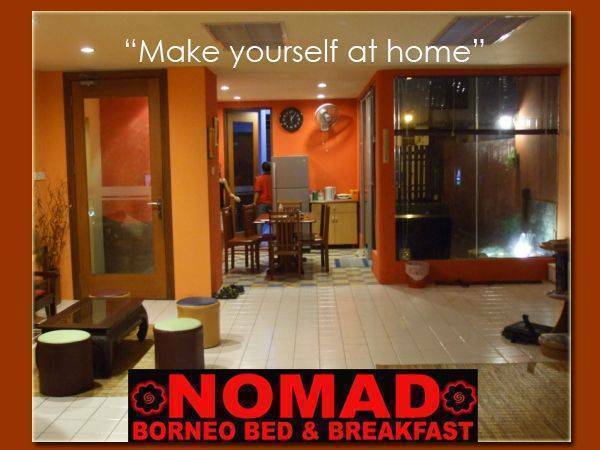 The Nomad is a B & B situated in the heart of Kuching City, At The Green hill Road area, easy excess to all fascinating tourist attraction and suitable place to make as a hub for traveling around Kuching and it’s surrounding. As traveling in Sarawak, can be exhausting with its wide diversity of travel attractions, we provide you with a warm welcome to a place with a feel free environment. So you can have time and space for yourself and also to mix around with other fellow travelers exchanging ideas and experiences and travel stories. Just drop by, check us out and experience it yourself, accommodation with modern concept with a touch of Sarawakian Hospitality. We choose not to spoil your travel experience by overloading our place with typical longhouse style concept as that experience should be of the “real deal”, I guess you know what we mean by that. No curfew time, no breakfast time limit, like being at home in a foreign land, as we said just “make yourself at home as long as you don’t take the LCD TV home”. Payment upon check in.Cancellation policy 3 days in advance. In the heart of Kuching city, surrounded by plenty of eating outlets, and 5 minutes walk to the famous Kuching City Waterfront.